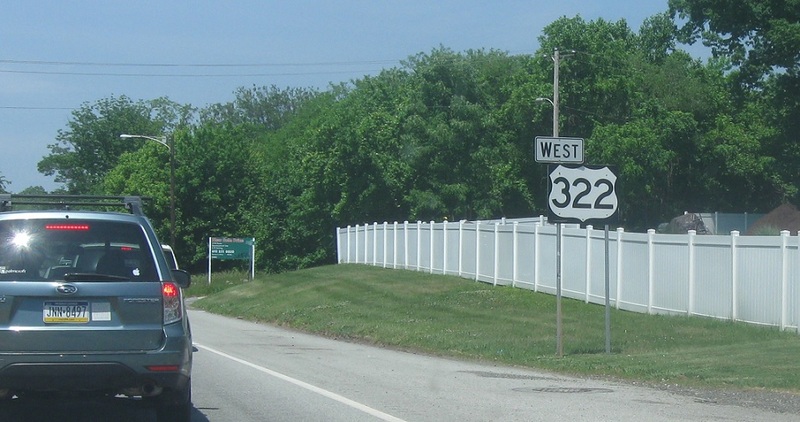 Reassurance shield after the 452 junction. 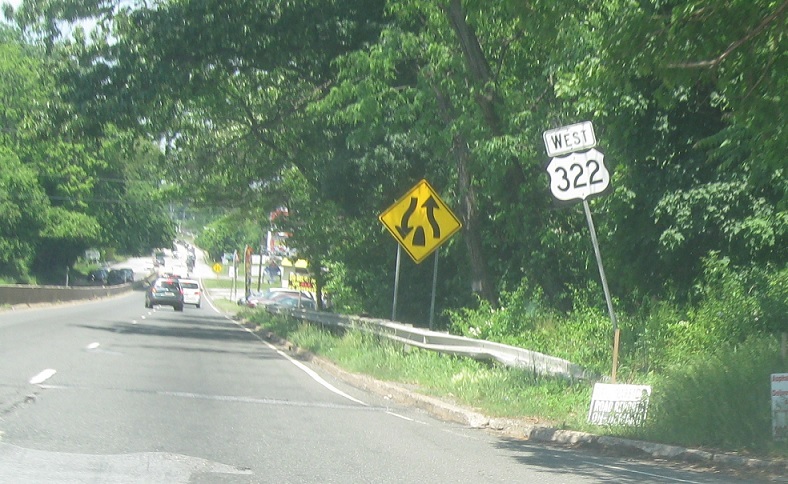 Reassurance shield after Cherry Tree Rd. 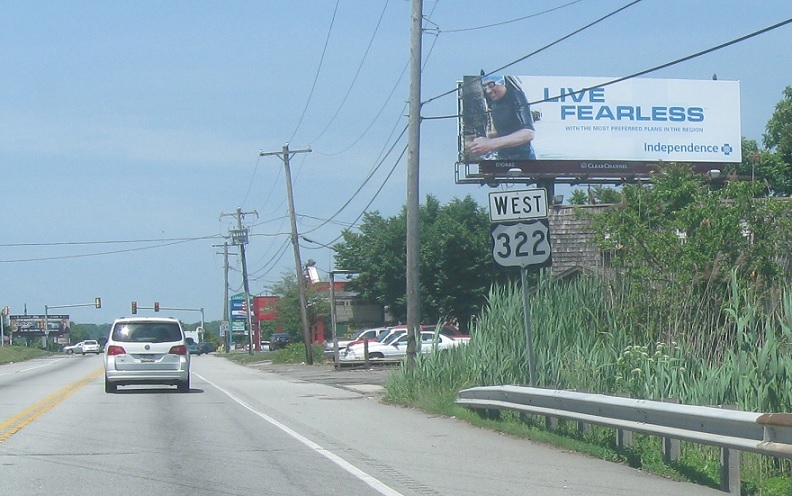 Reassurance shield as we enter Boothwyn. 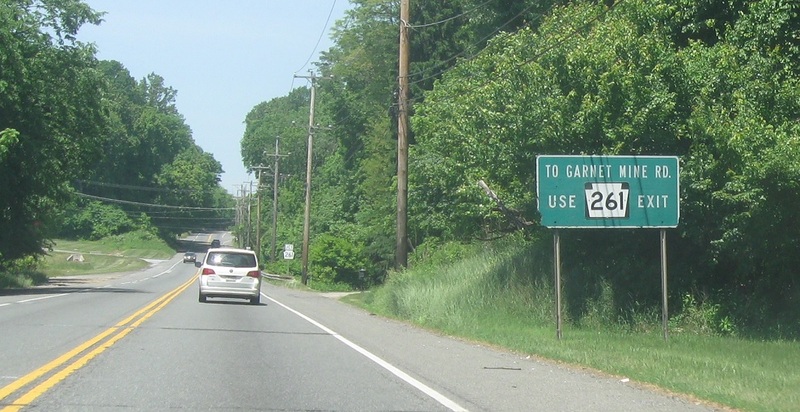 Reassurance shield another half mile later. 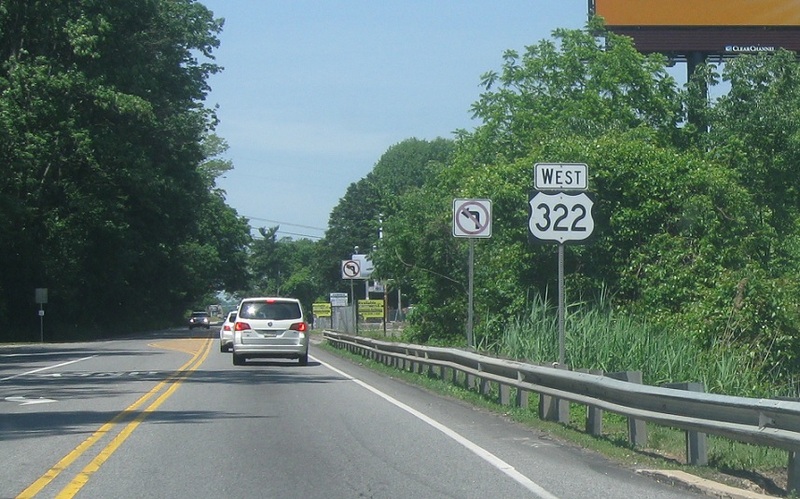 As we approach PA 261 we’re advised to follow it to Garnet Mine Rd. 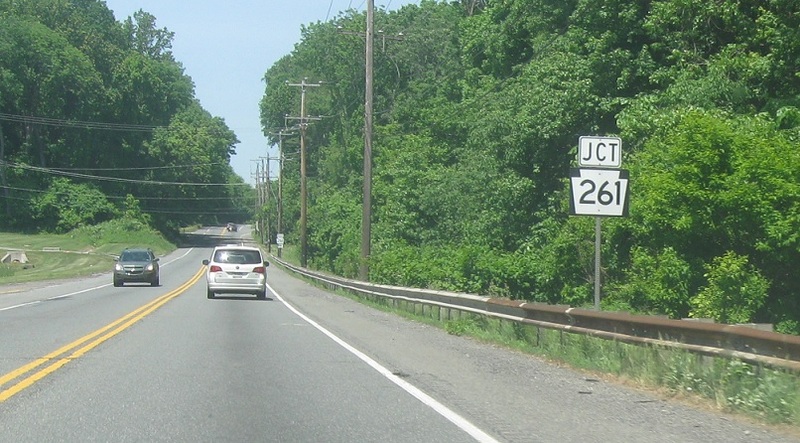 Junction Route 261 coming up. 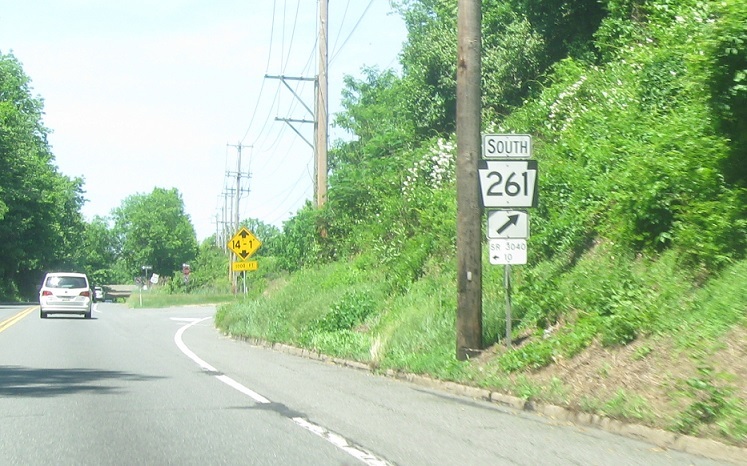 Turn right to loop around to 261 south. 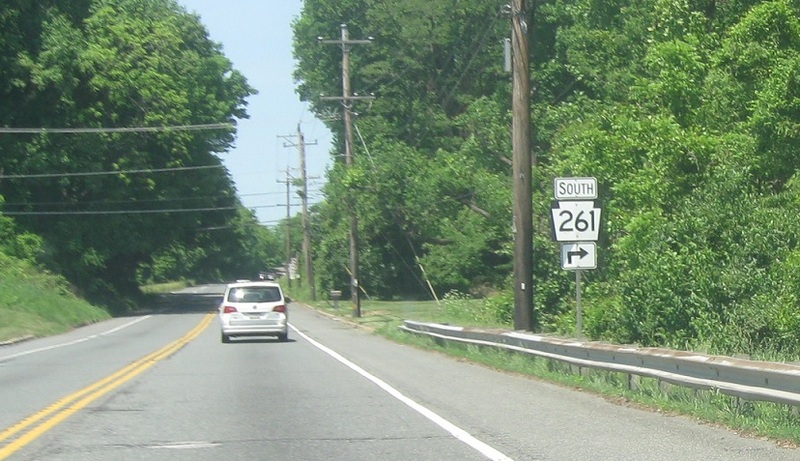 Route 261 heads south down to Delaware.